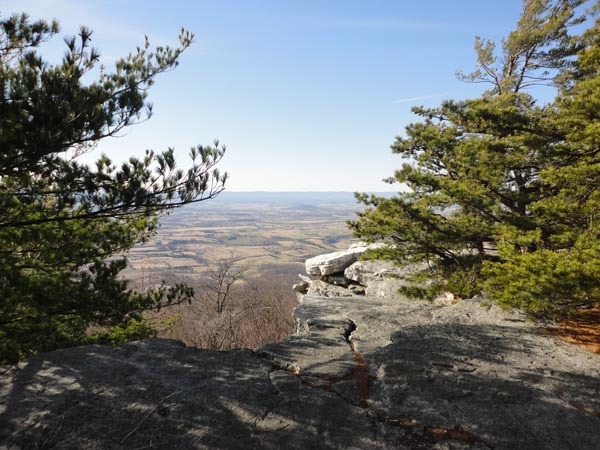 Description: This is an 8.2 mile moderate spoon shape hike with a total elevation gain of 1600 feet. 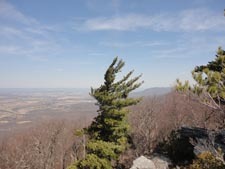 Almost all of the hard work is done after the first 1.3 miles rewarding the hiker with views to the west of New Market and surrounding Shenandoah County. 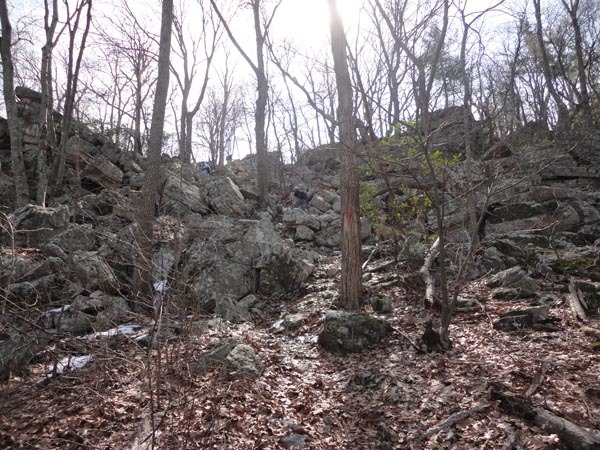 There is very little elevation gain after this initial climb. 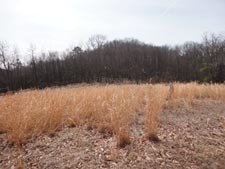 The remaining ridge walk is through alternating hardwood and pine forests. 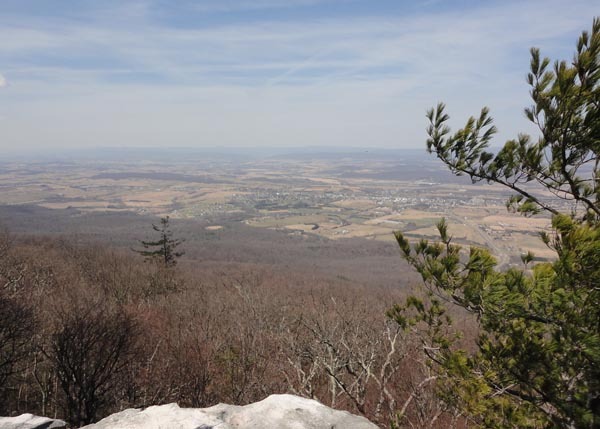 Keep in mind that the Bird Knob Trail stops short of the knob itself. There is no trail to its summit nor are there any views there. A 0.4 mile walk on Mountain Road is required to close the circuit. The hike starts at the closed forest visitor center on the west side of U.S. 211. Trail Notes: From the parking lot walk towards the highway and turn right onto the white blazed Wildflower Trail. The surface is covered in cinders. 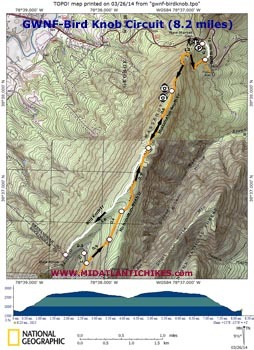 In 0.3 miles turn right onto the orange blazed Massanutten-South Trail. 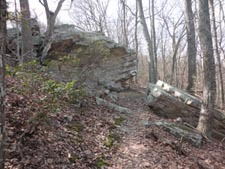 The trail climbs steadily through a switchback before arriving at a false summit and a survey marker. Here the trail turns left to climb up the primary spine of Massanutten Mountain. 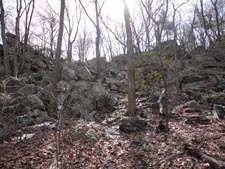 The hiker will pass through three �a target="_blank" href="http://mrhyker.tripod.com/photos2/bk-14-2.jpg">rock gardens� before reaching the initial highpoint and vista (to the right) 1.0 miles from the last trail junction. There is a larger vista area a few steps further south under some nice pines and an established campsite hidden in the woods to the east. From here you will walk through alternating pine and hardwood forests with perhaps a bit more emphasis on the former. 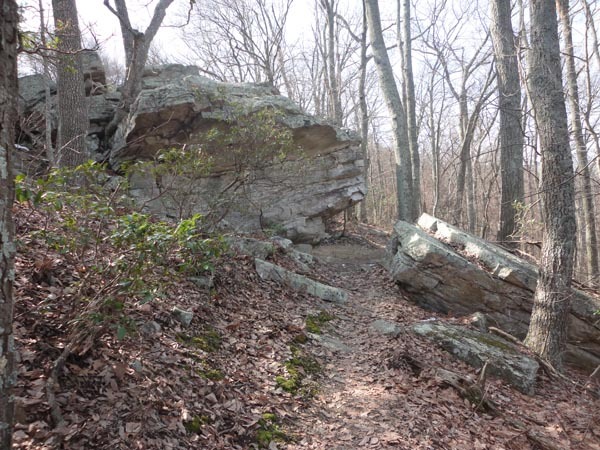 Arrive at the junction with the white blazed Bird Knob Trail in 0.8 more miles. Turn right onto it and reach a wildlife clearing in 1.8 miles. Wooded Bird Knob will be directly in front of you. Turn left here and descend on a fire road for 0.3 miles, passing a road on the left that leads to a wildlife pond and a large campsite. In 0.2 more miles arrive at gravel Mountain Road/Massanutten Mountain Trail. Turn left and hike up the road for 0.4 miles. Here the road swings sharply to the right to go to some com towers. Continue straight, going around a gate blocking a fire road. The next 0.4 miles is on a wide, flat and smooth road covered with pine straw and lined with pine trees and giant ant hills. The blazed trail swings to the right here, off of the fire road, but the trail conditions remain the same. In 0.9 miles arrive back at the Bird Knob Trail junction. Turn right and retrace the initial 2.1 miles of the hike.